A few days back I was watching a cookery show in which they were showing recipes made during fasting. I got really inspired by one of the recipes in which they made potato corn cobs. This recipe kept lingering in my mind and I was too eager to try that for two reasons, firstly, I found the idea very innovative and secondly quite simple to try. Now, to duplicate the recipe as it is, it’s never possible for me, so I did try the recipe using my ingredients and flavors but for those who want to try it during fasting just go ahead and try it with only potatoes. These corn cobs look so elegant that they can make a good party starter and are so attractive that kids will love this and will ask for more, as my younger one did. I was recently watching a Nigella show in which she said that it’s better to deep fry than shallow fry as food absorbs more oil in shallow frying. Now, I was quite shocked to hear that as all these days I avoided deep frying and preferred shallow frying so that I could reduce the oil intake and since this statement came from a celebrity cook like her I could not remove it out of my mind. I really need to do more research on that but would love to hear your opinion too. I am sure many of the bloggers can throw some light on this topic. But for now the recipe..
Wash the mini sago and drain all water. Let it soak for half an hour. Add water to potato flakes and make mashed potato. Mix together the cottage cheese, mashed potato, green chili mix, salt to taste and cumin powder. This mix makes the base of corn cobs. In the cornstarch add a little salt, freshly ground pepper and some water to make a paste. Take a small ball of the cottage cheese base and flatten it. Insert a potato finger at the bottom and wrap it with the base all around with no gaps. Shape it like a corn cob. Dip it into cornflour paste and then roll in sago. Deep fry on a medium flame. Remove it on a kitchen towel to remove the excess oil. Serve it hot with some Szechuan sauce and Mint sauce. 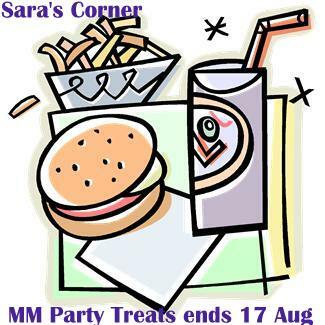 also to Mita’s MM- party treat event guest hosted by Saraswathi of Sara’s corner. Sounds interesting.. thanks for sharing dear !! OMG! Looks so good, definitely kids will love these type of foods. I'll also try to send some entries for your event soon. I must try the sago coating...so unique and crunchy! Hey Pari,Hope ur doing fine..I was away from active blogging,i missed out many of your recipes..with try to catch up soon..droolz! sounds great, lovely and tempting! This sounds yummy and interesting Pari..Looks yummo..
super name.iam sure kids will love this.Nice idea. I make this vadas too for fasting, we never use garlic for fasting food..looks mouthwatering ! about frying than shallow frying shock to mee as well...let me know if you find out..
dear jagruti, even we do not use garlic in fasting that's why I suggested only potatoes. dear Angie, the sago surely gives a crunchy crust and the cornstarch helps reduce the absorption of oil. Satya, I am glad u found it unique. Sangeetha, welcome back, will visit ur space now. That's a very unusual recipe! And I sure would be very interested to know if you find out more about the deep/shallow fry debate. Very yummy. Sago coat has given new taste I think. Thanks for sharing. Yes Pari,shallow fry takes more oil than deep fry in very hot oil. If you really want to shallow fry, do not add oil. Just dry roast if possible or use very very less oil. Nivi, I personally avoid shallow frying as well as deep frying. I love roasted versions too. That is an amazing looking recipe. I would love to give it a try. I have a similar recipe from one of the cooking shows that I have to try. hmm, very innovative recipe, love to try sometime..
very unique recipe to me..love the step by step pictorial, its so helpful..I can have anything with sabudana..looks delish! Potato, cheese, sago, love the ingredients Pari. Delicous snack. I love munch them for my tea. These look so delicious! I have never seen anything like this. I am looking forward to making them...thanks! Thanks for the great instruction too! Even I had the same thoughts about frying. Let me google about it. These corn cobs looks delicious with those delicious ingredients. Looks cute and interesting. YUMM. Very delicious snack.Sure will be a winner with kids. sounds such an interesting and unique recipe, pari! would love to make it someday. shallow fry vs deep fry is a surprise to me too. looks really yumm..want to have some of them..
such a yummy and new dish.sure kids will love this. And i too have this doubt on deep fry vs shallow frying. I have a opinion that for shallow fry consumes more oil. Lovely recipe Pari! My kids will love it for sure. Thanks for sharing. wow!!! you have really done it well...very nicely explained and kudos to your effort !!! crispy and yummy! nice step by step clicks! Pari an amazing recipe for fasting days. Looks so crunchy and yummy. Pari I would love to send my today's post for your on going event but couldn't use the logo because of right click disability. Is it ok with you? wow !! these r looking gorgeous ..bookmarked ..the idea is indeed very new and attractive..im sure not only kids even elders wud luv to have it..pls do count me in ,in your ongoing event..
Truely interesting, luv the idea!